Ministry of Skill Development & Entrepreneurship announces the appointment of A.M. Naik as Chairman of National Skill Development Corporation (NSDC). One of the most influential business leaders in the country, aik brings over 50 years of meritorious experience in the infrastructure, engineering and construction sectors. Currently the Group Chairman of India's biggest engineering and construction conglomerate – Larsen & Toubro Limited (L&T), A.M. Naik is one of the most respected management professionals in the country. His years of successful stewardship have resulted in building L&T as one of the strongest global businesses. In his remarkable career spanning over five decades, Naik has won many accolades. He was awarded the Padma Bhushan, India's 3rd highest civilian award in 2009 for his outstanding contribution to the economic growth of the country. 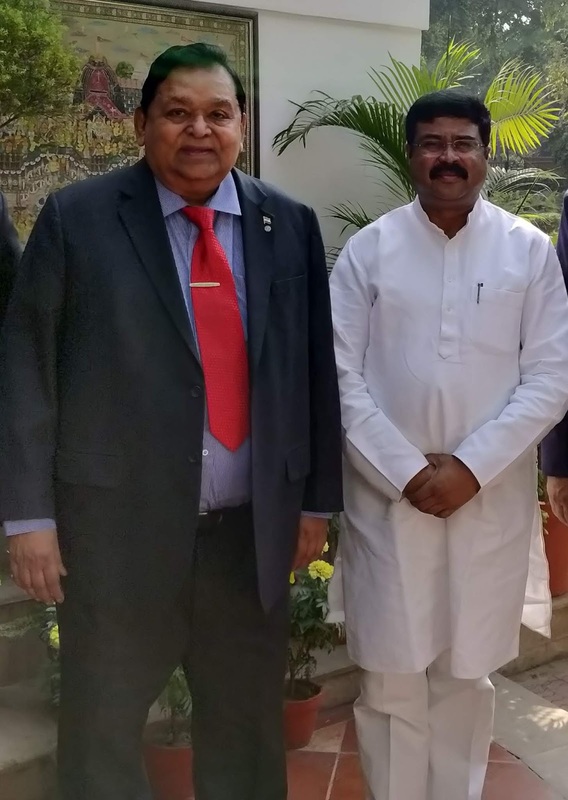 Naik is also the Honorary Consul General for Denmark. He was conferred the Danish Knighthood by Her Majesty Queen Margarethe - 2008 and a further honour, the Order of the Dannebrog - Knight First Class in 2015.